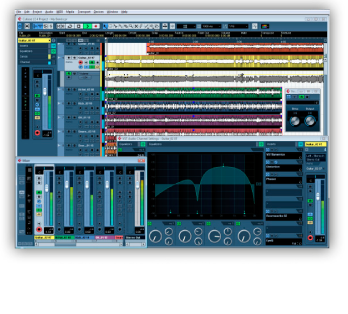 Cubase LE is an easy to use 48 track complete recording solution that includes all of the modules that you need to track, edit, and mix your masterpiece. Cubase LE is part of Steinberg's professional range of Cubase music production software and features the same industry standard technologies and pristine sound quality that have made Cubase both a household name and the software of choice for platinum artists around the world. With a full range of tools ready for audio and MIDI recording and mixing, Cubase LE is both fully cross platform and easily upgradeable to the full version of Cubase Essential 4 through the Steinberg website. Cubase LE is also fully upwards compatible, so all Cubase LE projects can be opened and worked on all higher Cubase versions.